Gold is straight-up hated now. So asking you to look at a pair of precious metals explorers may be a hard sell. On the other hand, Friday saw gold futures end higher for a third-consecutive session. And for the week, gold was up 1% when the broad stock markets were on the floor, spitting out teeth. So, maybe, just maybe, you WANT to look at these little-known companies. I’m not recommending them. They aren’t for everybody. And for as volatile as precious metals miners will be going forward, explorers will experience triple that. However, I am profiling them. Because certain investors and speculators can handle outsized risk if there’s a potential moonshot involved. “2 Small Companies with Big Ambitions“: That story included interviews with Blue Sky Uranium (TSX-V: BSK; OTCQB: BKUCF) and Fireweed Zinc (TSX-V: FWZ). “Two Gold Explorers with Potential“: Amarillo Gold (TSX-V: AGC; OTCQB: AGCBF) and Integra Resources (TSX-V: ITR; OTCQX: IRRZF). “Hidden Treasures of the Golden Triangle“: Skeena Resources (TSX-V: SKE; OTCQX: SKREF) and Aben Resources (TSX-V: ABN; OTCQB: ABNAF). “Uranium Developers for a White-Hot Market“: Uranium Energy Corp. (NYSE: UEC) and GoviEx Uranium (TSX-V: GXU; OTCQB: GVXXF). Not all these companies will succeed. But there is potential here. Just do your own due diligence before you buy anything. 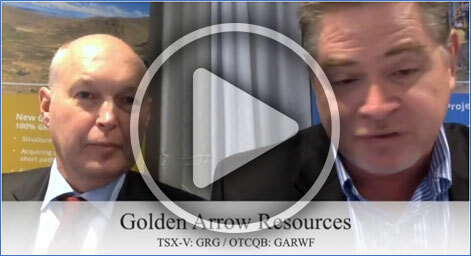 Golden Arrow Resources (TSX-V: GRG; OTCQB: GARWF) has near-term cash flow from a project it sold to SSR Mining (Nasdaq: SSRM). The Chinchillas silver-lead-zinc project is 25%-owned by Golden Arrow. And cash flow from that will give the company the means to explore other projects it has in its pipeline. David Terry, who is on the board of directors for the company, gives you the scoop. The company has more projects in Chile and Argentina. One of them is the Indiana Gold/Copper project in Chile. It has a historical resource of 600,000 gold equivalent ounces. It’s even permitted for production. So, that’s an advanced project. Combined with its other exploration projects, and the cash flow from Chinchillas, I believe this company is worth a look. There are three things I like about this company. One is that it has a history of taking over mines with high costs and making them low-cost. It brought a mine in Mexico online for 30% less than the original forecast. So management is very good on execution. Finally, it has been purposely under-mining its silver, waiting for prices to rise. Instead, it is concentrating on zinc and lead for now. 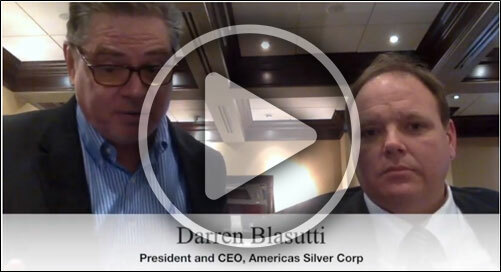 It plans to ramp up silver production down the road. Get working on your shopping lists. Gold had a great week last week, and the time to buy may be sooner rather than later. Cobalt and nickel is found in Texas. vanadium running 3.4 lbs per ton in Parker county.germanium running 198 PPM is found in coal n Texas. the greatest boom in Texas will be in one or more Counties in West Texas Vanadium along with Lithium. I have the assays and report. The mining companies are overlooking great opportunities in Texas.